Join us Today at our State of the Art Barkan Method Hot Yoga Studio located across the street from The Town Center Mall. Boca Location We opened our doors in 2012 however, Jimmy Barkan, the founder of The Barkan Method, opened his first Fort Lauderdale school in 1983. The Barkan Method, formerly Yoga College of India, was one of the first Bikram Yoga Schools to open in the entire world. Making Barkan a pioneer in the Yoga Industry! Now Jimmy Barkan travels the world teaching and conducting Teacher Training Programs in : Hong Kong, Hungary, Iceland, Japan, Austria, Costa Rica and Australia to name a few. 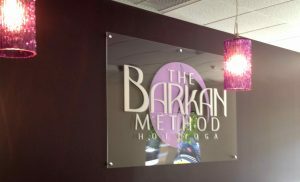 You can experience the magic and incredible results of The Barkan Method Hot Yoga right here in Boca Raton!